Share the post "What Bangladesh needs to do now"
While it is encouraging to know that Bangladesh has taken diplomatic initiatives to bring the ongoing Rohingya refugee crisis to the international fora, the question is whether it has devised a strategy to go forward. Press reports inform us that the Bangladesh foreign ministry has reached out to world powers such as Germany, China and Russia and contacted several multilateral bodies such as the United Nations, European Union, ASEAN and OIC for their help in addressing the humanitarian crisis that has befallen the Rohingya refugees who have crossed the border into Bangladesh in the past two weeks. These steps, along with a concrete proposal for establishing a “safe zone” within Myanmar by the UN for persecuted Rohingyas, are a step in the right direction, although a bit late. The scope of this crisis is monumental as an estimated 270,000 Rohingyas have taken refuge in Bangladesh in the past two weeks. A ruthless military operation of the Myanmar government, which many observers have described as “ethnic cleansing” and “genocide,” has prompted this crisis. However, since the beginning of the recent security operation the Myanmar government has portrayed the attackers as Islamist militants connected to transnational terrorist groups such as ISIS. Additionally, Aung San Suu Kyi claimed that the government is trying to protect all citizens. Thanks to strategic and business interests, a number of countries have extended their support to the Myanmar government remaining oblivious to the humanitarian crisis and the long history of persecution of Rohingyas. 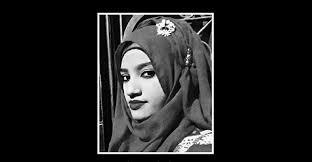 This ethnic minority group, most of whom are Muslims, had been stateless through the 1982 Citizenship Act and was excluded from the 2015 national census. Equally important to note is the rise of extremist Buddhist nationalist groups, which have relentlessly campaigned against Muslims; and the mainstream politicians’ policy of appeasement of these extremist groups has made the situation worse. The Commission on Rakhine State, appointed by the Myanmar Government and the Annan Center last year, which submitted its report last month, warned of possible radicalisation sans a political solution and developmental intervention helping the Rohingyas. International Crisis Group, in a report last December, indicated that a new insurgency is in the making. Yet the international community remained silent and allowed the situation to deteriorate. Bangladesh, on the other hand, has been on the receiving end of this crisis for decades. Several waves of refugees, since 1978, have crossed the border for shelter. Although an UN-brokered deal succeeded in repatriating 200,000 refugees in 1979, thousands have continued to arrive after episodes of state-supported ethnic riots; almost 500,000 have remained in Bangladesh, many in squalid conditions in camps near the Bangladesh-Myanmar border even before the latest round of influx. 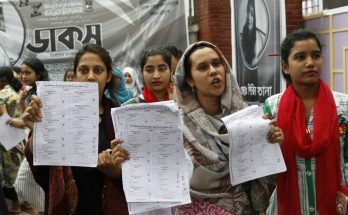 Bangladesh’s first reaction to deny the entry of the refugees fell by the wayside under the weight of sheer number and also a change of heart. In the first days, it bought into Myanmar’s argument that it is an ongoing Islamist militancy and offered a joint security operation. Fortunately, Myanmar didn’t respond to the proposal; on the contrary, its helicopters repeatedly violated Bangladesh’s air space. The deafening silence of the international community on the plight of Rohingyas is matched with the unqualified support of China to Myanmar, a close ally for decades. Myanmar plays a key role in China’s planned ‘One Belt One Road’ initiatives with billions of dollars of investments in energy and infrastructure projects. Russia has remained a steadfast supporter of the regime. 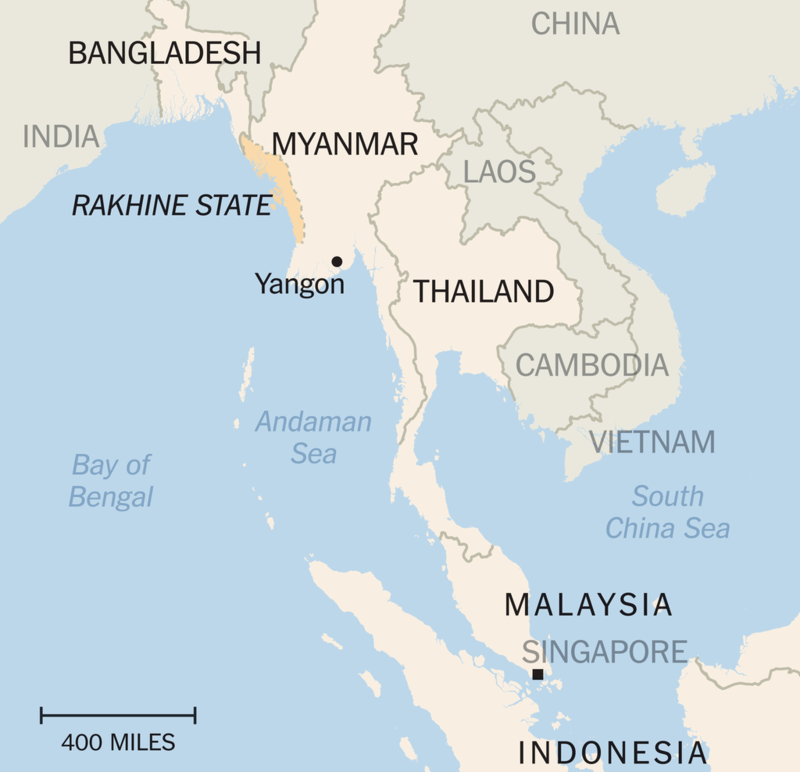 In December last year, both China and Russia vetoed the UN Security Council motion to censure Myanmar. 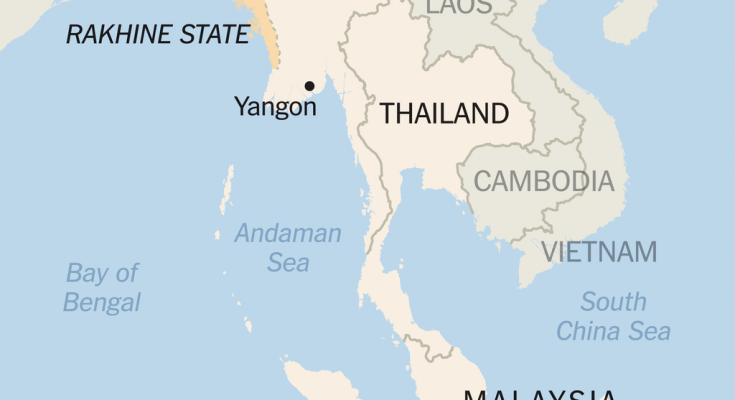 India, in a bid to weaken Chinese influence in the region, has warmed up to Myanmar. In the wake of the present crisis, the Indian prime minister has extended unequivocal support to the Myanmar government while making an official trip last week, and the Indian government has threatened to deport 40,000 Rohingya refugees from the country. Despite an embargo on weapons sale to Myanmar, Israel has supplied weapons to the country. In February this year, Pakistan signed a deal to supply F-16 jets to Myanmar. The United States, which began a new era of engagement with Myanmar when the country moved towards democracy in 2014, is now embroiled in a row with North Korea and is paying little attention elsewhere. A muted reaction came in on Thursday when it condemned the violence and urged to allow humanitarian access to Rakhine State. This is just the tip of the iceberg of the deep defence, strategic and business relationships between Myanmar and regional and global powers. These countries have vested interests in supporting the Myanmar government, making it an uphill task for Bangladesh to convince the international community for a concerted action against Myanmar. However, European countries have taken note of the deteriorating situation. They were vocal critics of Myanmar at the UN Human Rights Council. On Thursday, the EU condemned the ongoing violence. Previously, Myanmar blocked a UN fact-finding mission. But the UN Secretary-General, in a rare move, sent a letter to the UN Security Council requesting urgent action to address the situation. A few Muslim-majority countries, especially Turkey, Indonesia and Malaysia, not only expressed serious concerns but also tried to rally support. Turkey holds the Presidency of the OIC and Recep Tayyip Erdogan is trying to use the office to bolster his standing among Muslim-majority countries. As Turkey’s own human rights record is very poor, one understands that the Turkish initiative is more a political maneuvering than a humanitarian gesture. These do not provide an optimistic picture regarding a possible serious reprimand of or pressure on Myanmar. Despite the gloomy picture it is incumbent on Bangladesh to take the lead as the most affected country. The national interest of the country demands robust action. It cannot look at other countries and follow in their footsteps. Now that it has taken the first step, the Foreign Ministry of Bangladesh should consider appointing a special envoy on Rohingya and the refugee issue with the support of the highest political office. It will send the message that the country has prioritised the crisis and impart a sense of urgency among the international community. The present government has a close relationship with India; the question is how much Bangladesh is willing to engage India on this issue. It is not surprising that India is prioritising its national interests, but it is intriguing that Delhi hasn’t considered Bangladesh’s concerns while extending unqualified support to Myanmar in the wake of the present crisis. 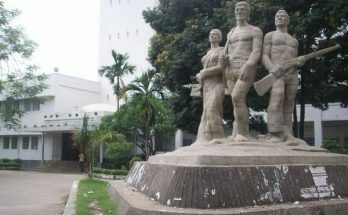 The first task of the Bangladesh government, therefore, is to make a case to India while mobilising the support of others. In April, China offered to mediate which was not responded to by Myanmar. Dhaka should now impress upon Beijing that in the absence of a quick judicious and long-term solution the situation will create grave insecurity which is detrimental to their interests in Myanmar and Bangladesh. The repatriation of the refugees is the urgent task, but Bangladesh must insist on a long-term solution; the Annan Commission provides a blueprint in this regard. Although more than two weeks have passed since the first group of refugees crossed the border, the foreign ministry has briefed the media only informally. The ministry should immediately make arrangements for regular briefings. The decision of the government to allow media access and to withdraw restrictions on international agencies to visit the border are positive actions. This will allow the world to see the picture and perhaps garner support. The diplomatic initiative is a welcome development, but to achieve a real result it must be done with great urgency and with a clear strategy, keeping in mind that no one will do the bidding for Bangladesh.